The first nationally syndicated Bozo the Clown -- via Syracuse.com. 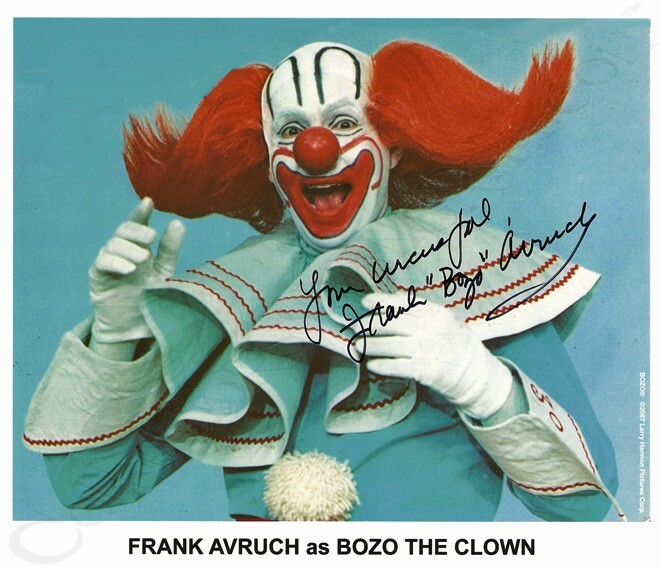 Larry Harmon ownehd the rights to the Bozo character, but he maximized the character's profit potential by franchising it. Harmon, Avruch, Bob Bell, Willard Scott, and Joey D'Auria all played Bozo, and there were many local Bozos as well.